There are so many ways to install applications in Linux. There's Synaptic, apt-get, dpkg, Ubuntu Software Center, and many more. In Ubuntu (or a Debian derivative) you can even install from your browser with the help of GDebi. But did you know there is another way to install with the help of the Firefox browser? That's right. Sure any browser can be configured to launch an external application, but wouldn't it be nice to be able to do all of this from within the browser itself? Well, with the help of Appnr.com (and a little bit of configuration magic) you can do just that. Let's take a look at just how to set up a Ubuntu desktop Linux distribution to install applications directly from within Firefox. Issue the command sudo apt-get install apturl. Type your sudo password and hit Enter. Now you are ready for a little Firefox configuration magic. If you've never worked with the about:config piece in Firefox, you are about to. 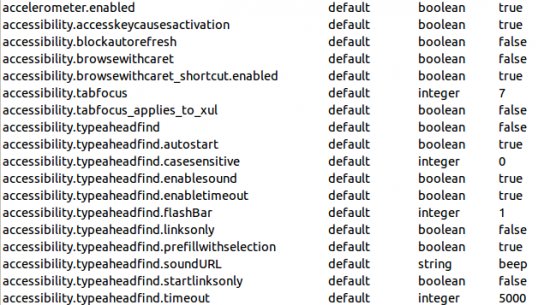 The about:config page is a way to configure numerous hidden options in Firefox. This also allows you to create new configuration options. 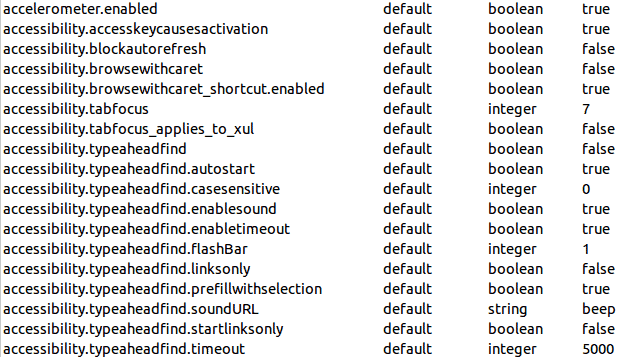 To get to this page open up Firefox and enter about:config in the address bar. You will be warned about the dangers of messing with this configuration and you will have to accept by clicking a button to continue on. Once within about:config you will see numerous strings that can be edited (see Figure 1). OK that and then OK the pre-filled in string for the value. You are now ready to give it a try. From Firefox, go to the site http://appnr.com and locate an application to install. You will notice, when you mouse over an application, an Install button will appear. Click on that application's Install button and you will prompted for your sudo password. Once you authenticate to sudo the application will install without having to open an external application. Although the same things are going on in the background, it is just one step quicker than the standard GDebi install from within Firefox. And anything to make Linux easier is a plus. You need to install emerald and then replace the gtk window decorator with emerald in compiz settings. Google for innstructions.